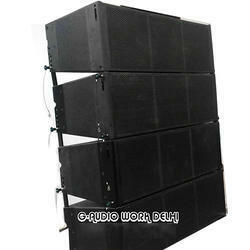 We are deal in this 200 Watts 15 in Speaker 15 Inch. - APT 2 : 3.5, 2 way, 4 ohms, 120 watts, 80-23KHz, 90dB. - V20 : 3, Dual 3, 8 ohms, 100 watts, 30-20KHz, 80dB. - Micromate 500S : 3, 2 way, 8 ohms, 40 watts, 120-20KHz, 88dB. Round Car Speaker offered comprises 2 way speaker design for superior working performance. Two-Way ScreenArray® Cinema Loudspeaker combines JBL’s latest technological advances with a compact footprint and accessible price point, making it easy to upgrade the sonic experience in your small or mid-sized cinema.